Mr. Doherty is the President and Chief Operating Officer of Doherty Enterprises. Tim currently develops and leads strategic plans, directs internal operations to achieve budget goals, and evaluate results of overall operations for the six concepts – Applebee’s Neighborhood Grill & Bar, Panera Bread, Chevys Fresh Mex, Quaker Steak & Lube, The Shannon Rose Irish Pub and Spuntino Wine Bar & Italian Tapas. Tim first joined Doherty Enterprises as a Server's Assistant and Host at Applebee’s Paramus in 1994. He remained with the company on a part-time basis while attending Lehigh University, where he earned a Bachelor of Science degree in Finance. During that time, Tim became a certified Applebee's Trainer as a Server, Host and Server's Assistant. 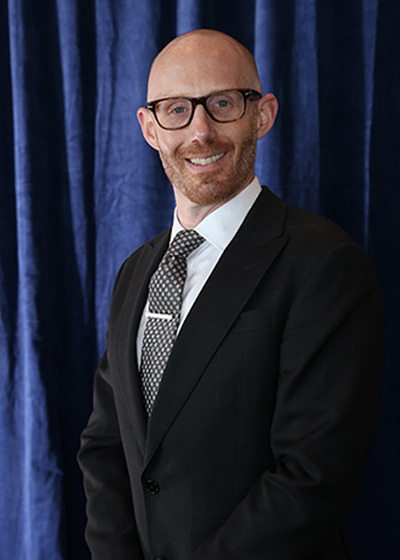 Upon graduating from Lehigh in 1999, Tim moved to Dublin, Ireland where he worked in the International Corporate Lending department of Allied Irish Bank, the largest bank in Ireland. Tim remained in Ireland through 2000 and then transferred to the bank's American headquarters in New York City. While there, he was promoted to Officer of the Bank and approved corporate lending in the Southeast United States and investments in real estate and banking derivatives. Tim left Allied Irish Bank in 2003 to return to Doherty Enterprises. Tim started as a Real Estate Manager and then was promoted to Director of Real Estate and then Vice President of Development, where he is in charge of the development of all new restaurants across all brands. Tim’s varied duties include site selection, negotiating leases, procuring all approvals and permits for the construction of the restaurant and overseeing construction. In addition to new development, Tim was also in charge of remodels through all brands. In 2018, Tim was promoted to President and Chief Operating Officer.